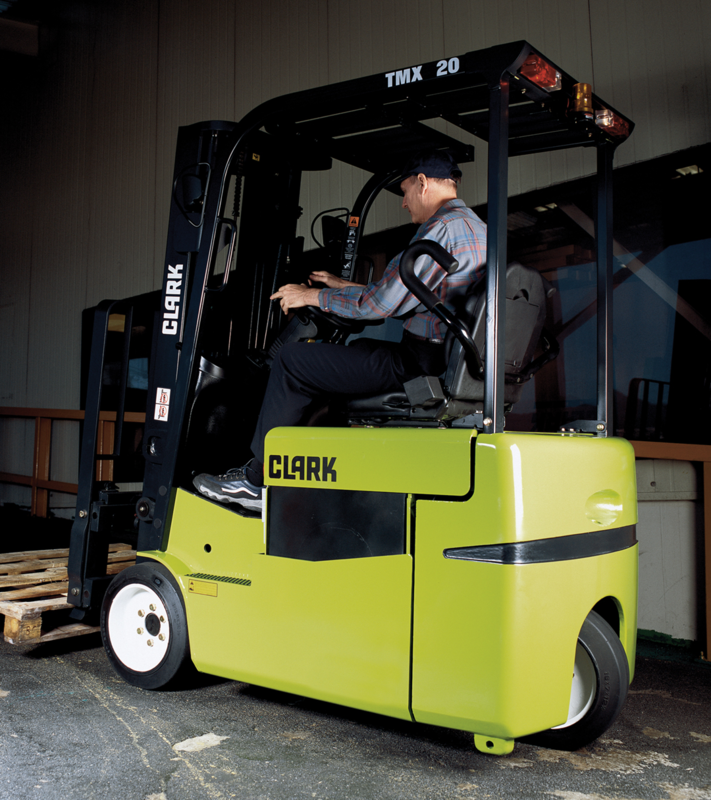 The 3-wheel, multi-tire design gives the forklift excellent maneuverability in crowded dock areas. This forklift is well suited for indoor use in manufacturing, bottling, warehousing and distribution, and shipping and receiving applications. Each lift truck comes with programmable safety and performance features to fit your exact needs. This system has a 13% increased run time compared to DC systems. The standard battery compartment accommodates a 1240 AH battery with an optional compartment that manages a full 1500 AH battery. Tilt and auxiliary speeds can be predetermined for the safety of the operator and load. The fully programmable system ensures operator safety by limiting speed, setting parameters for the regen braking rate and 20 other possible settings. When the truck senses movement without any acceleration applied, the lift truck applies counter torque in order for the truck to make a controlled descent down a hill for added security for the load and the operator. The lift truck also adds torque when going up an incline to prevent roll back. The silent, reliable operation incorporates spiral bevel and helical gear sets. With over 20 million field hours, the tested system demonstrates its durability. The standard single-tire steer axle and an optional dual-tire steer axle are made from high strength cast steel and heat treated for additional strength. Alarm codes provide a safer machine. Some adjustments can be password protected to prevent unauthorized users from changing the setting.